Sometimes clients (especially those with brand new sites) suffer from the “build-it-and-they-will-come” syndrome. It makes sense the client is aware of his new website and thinks others are aware of it too. Just one problem. Your customers don’t think about business the way you think about it. 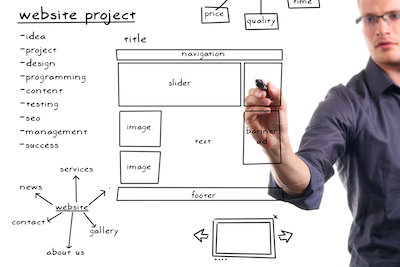 If you’re building a new website you’re probably thinking about your business. But, you may be missing a key ingredient: how does a potential customer see your business? What channels do they use to find you? How do they interact with you once they’ve found you? A fundamental part of thinking about your new site is remembering who visits it. Build the site for your customer. Think how they will use the website. This will make your life happier. Previous Previous post: What Will Determine Your Project’s Success?